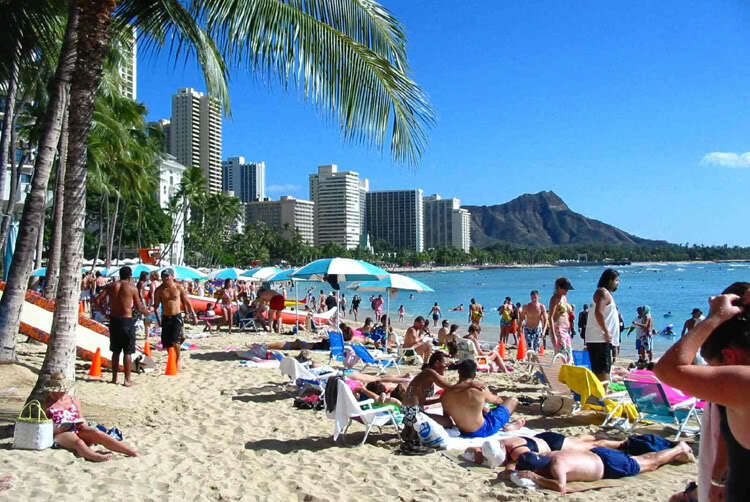 Waikiki Beach on oahu is the most popular beach. It’s not a tourist trap ha ha ha, 95% of the hotels dump out on this beach or, are with in walking distance. 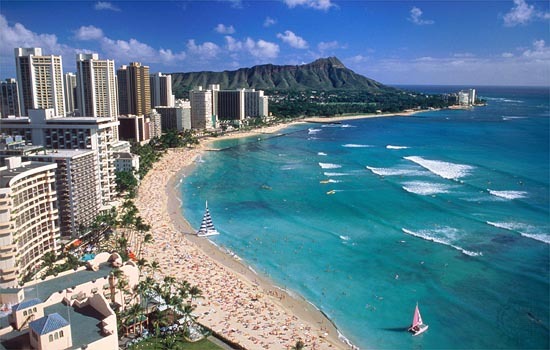 Waikiki beach is very beautiful and calm despite the crowds. 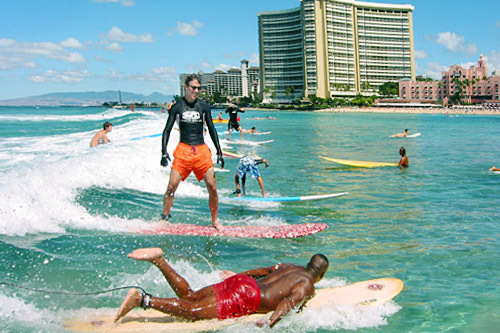 Waikiki beach has crowded day’s and not so crowded days.The good news is, its great place to learn to surf and you almost never have to worry about big waves. Its shallow and its close to your hotel.